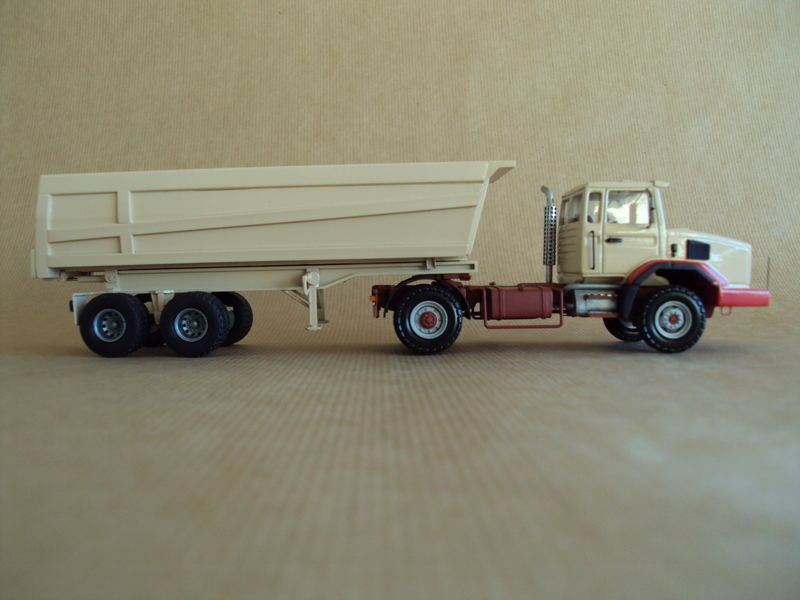 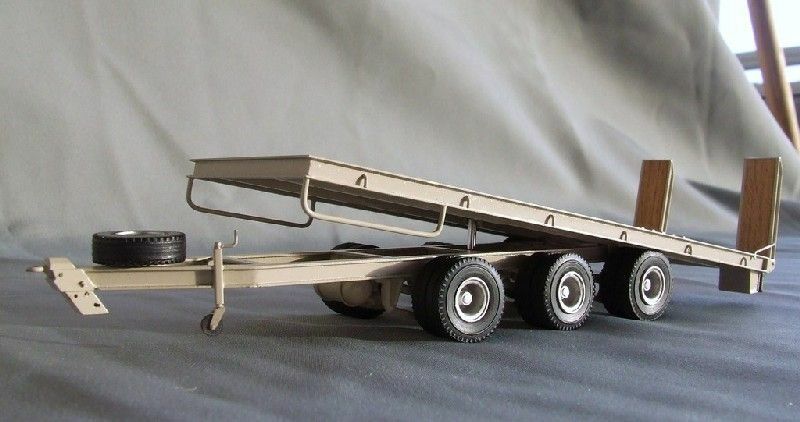 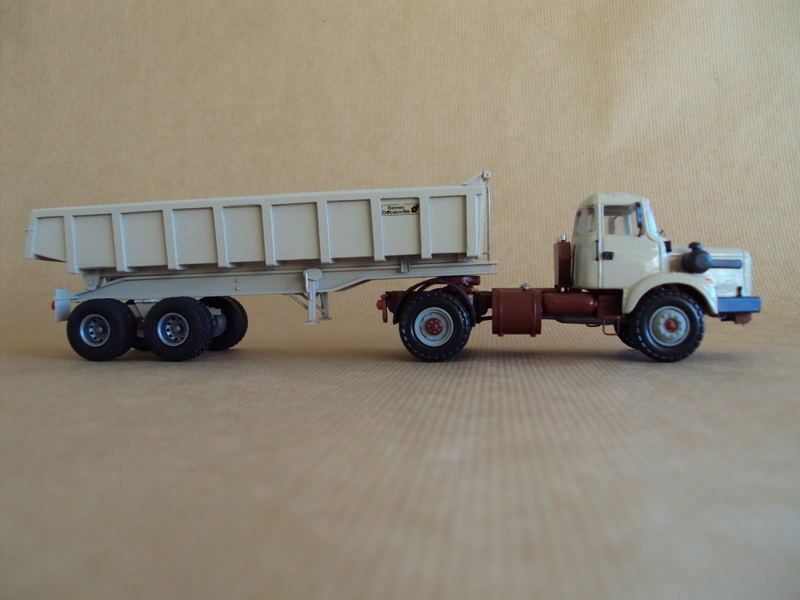 Marrel tipper and lowbed trailer are homemade by Jean-Francois. 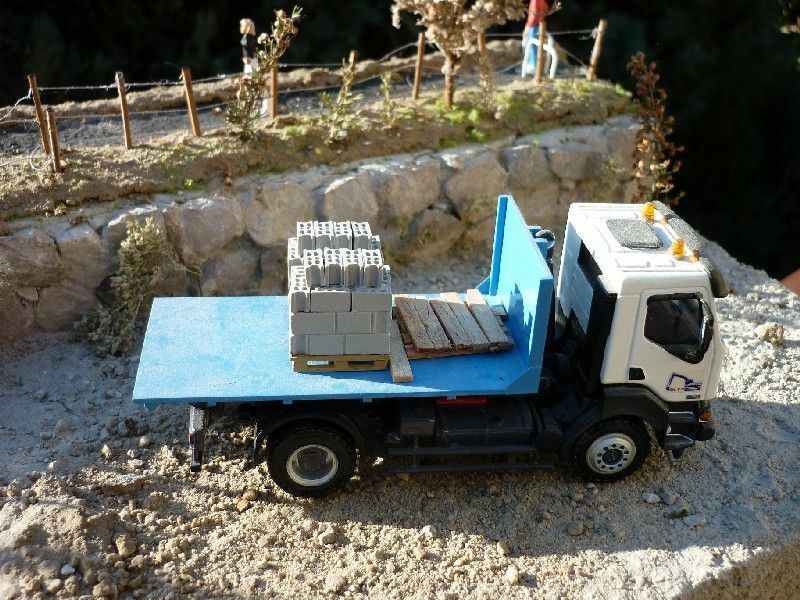 Thank you and we are honored to have this amazing collection of photos! 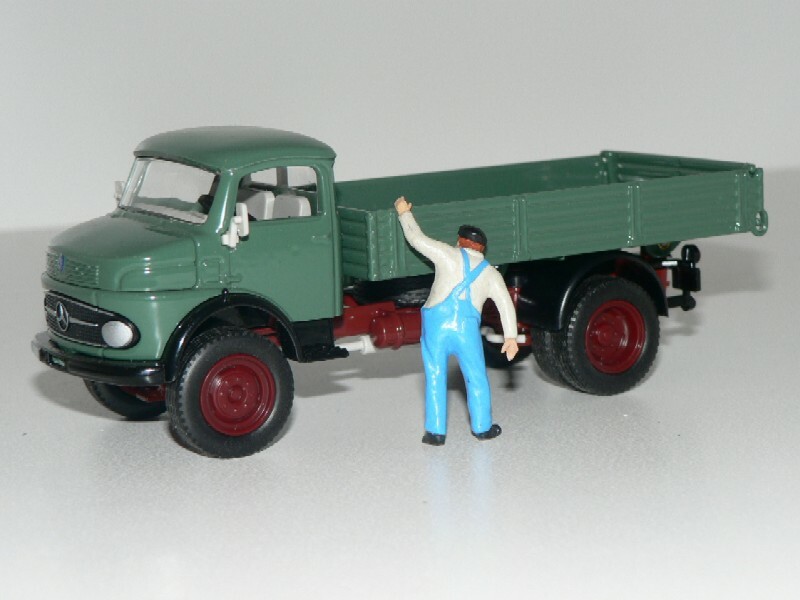 Please continue to post as this is a learning experience for us! 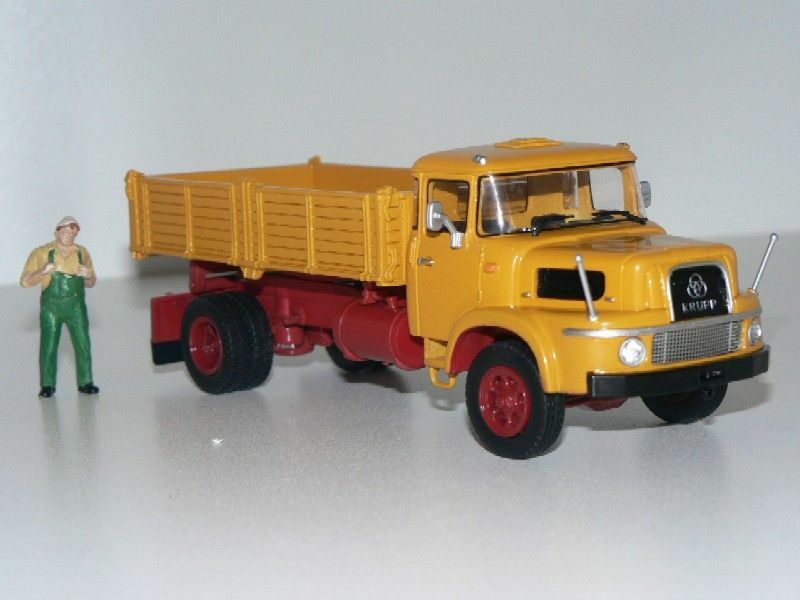 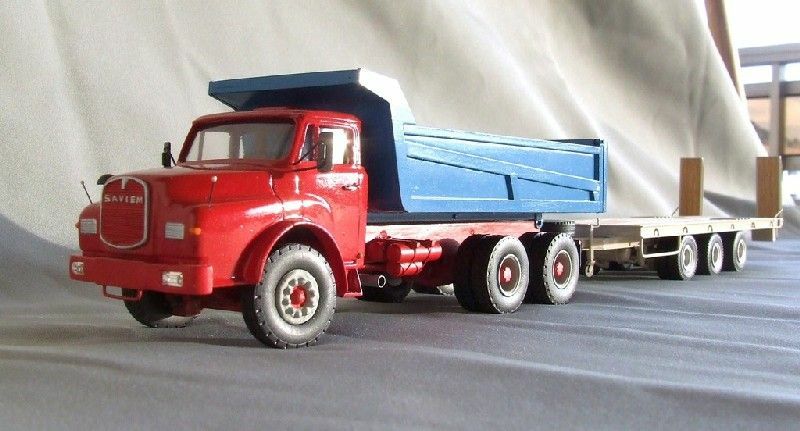 There should be much more pictures of our collections in the coming future: if I had to summarise, I would say that Jean-Francois is producing quite a lot of homemade very detailed models, while Jean-Jacques is mainly concentrating on French 1960s/1970s truck models; Jean-Paul has - among other things - a wide collection of Berliet 1/50 trucks and myself I collect almost anything, as long as it is, either in a 1/48 or in a 1/50 scales. 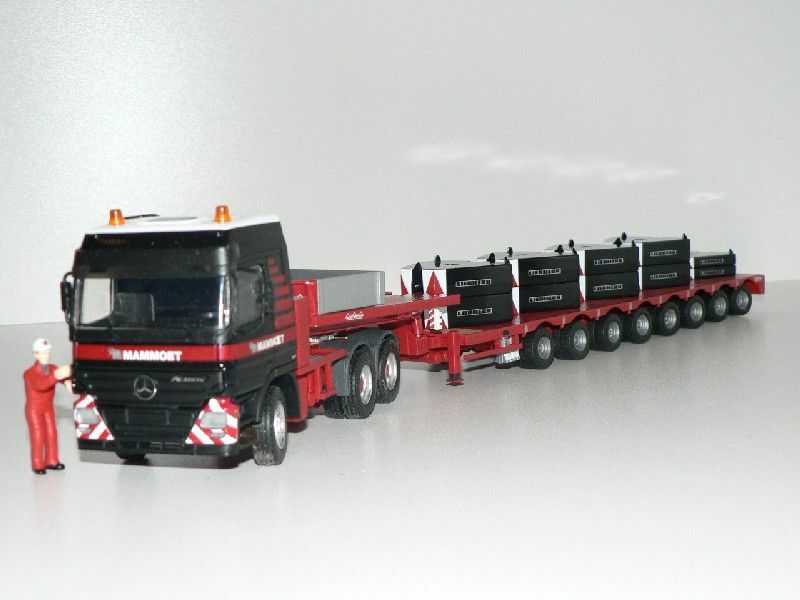 - Mercedes-Benz Actros 3353S 6x4/2 tractor and Nooteboom OVB 102-06 6-axle flatbed (modified Conrad and WSI models) loaded with a 10' workshop container, base plate and Liebherr winches (15T), 30 tonnes of counterweight elements plus 4 outrigger pads (WSI elements) and a Mercedes-Benz Smart For Two coupe (Siku model). 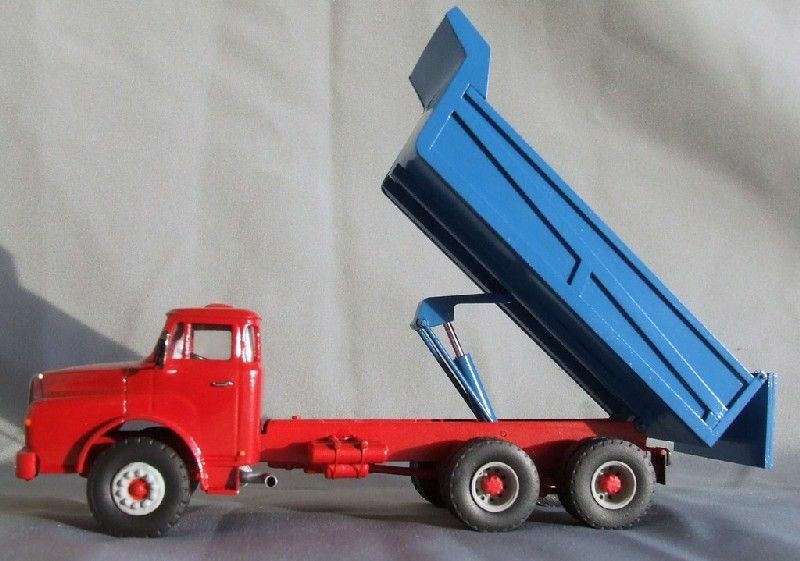 I really like the look of those Marrel tip bodies.Are they historic,or modern? 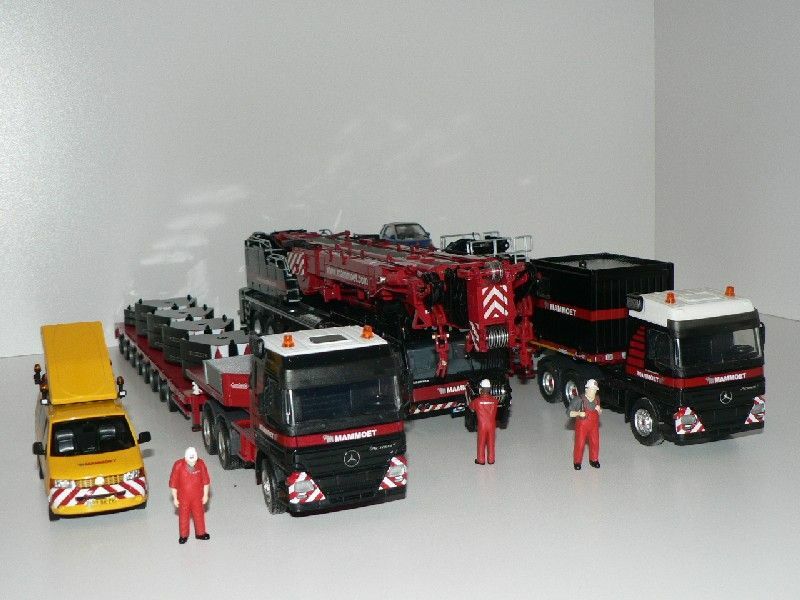 They are one of the European leaders, as far as hydraulic systems and tipping units are concerned. 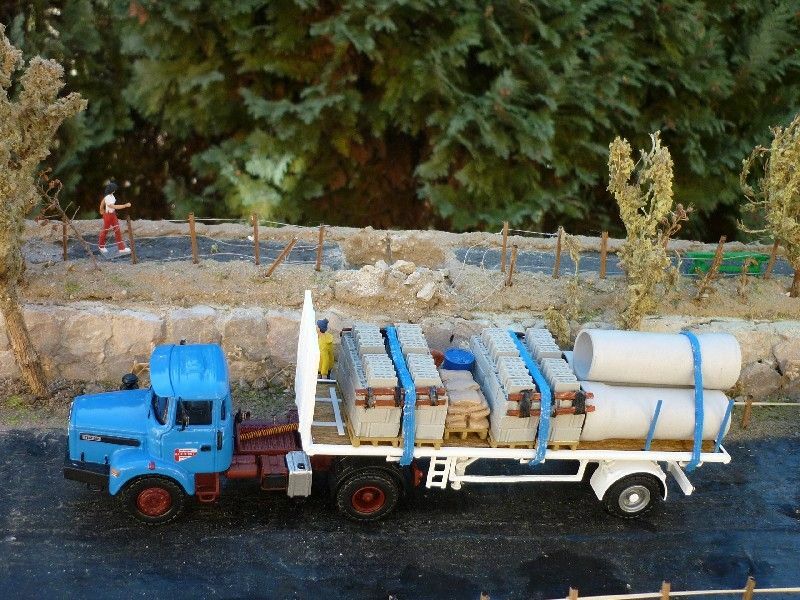 The tractor is a Berliet GBO 15 M3 HC 6x4/2 Minitrucks kit, the modular trailer was made from an A. Smith Cometto module on which Jean-Francois added Nicolas short deck and heavy gooseneck, both made from brass. 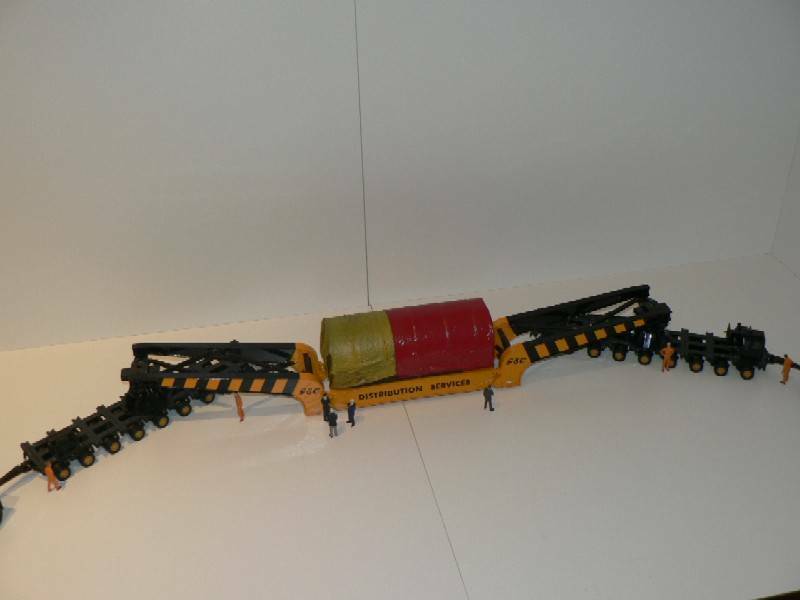 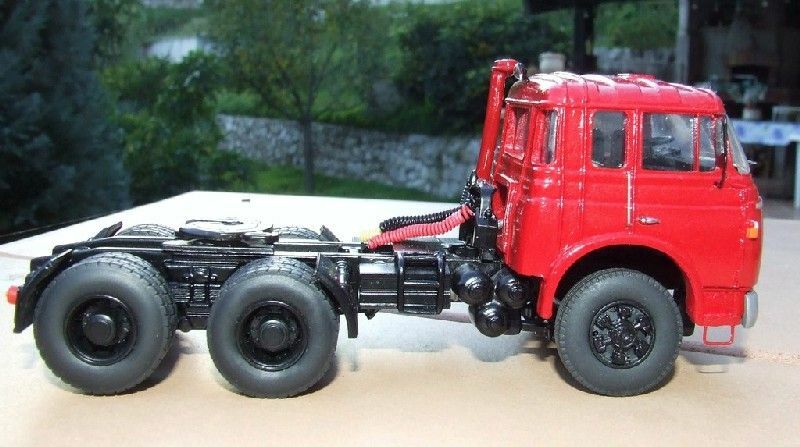 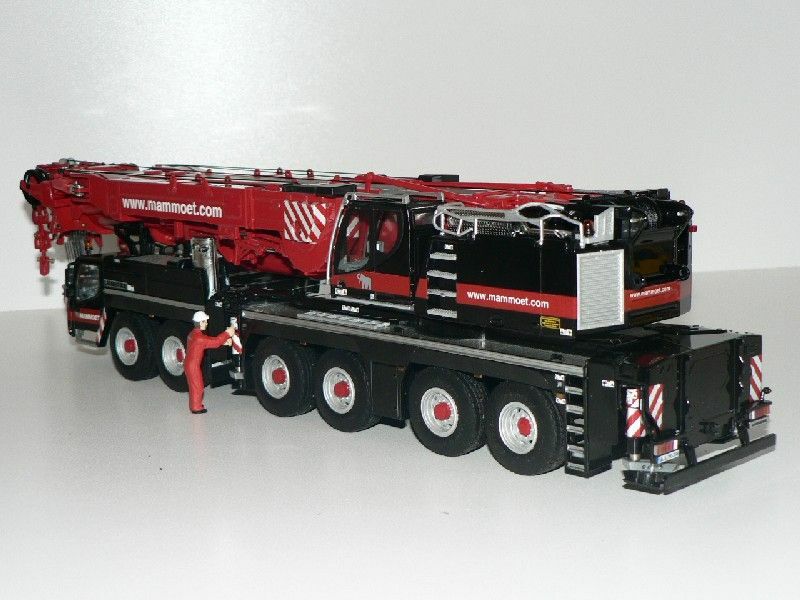 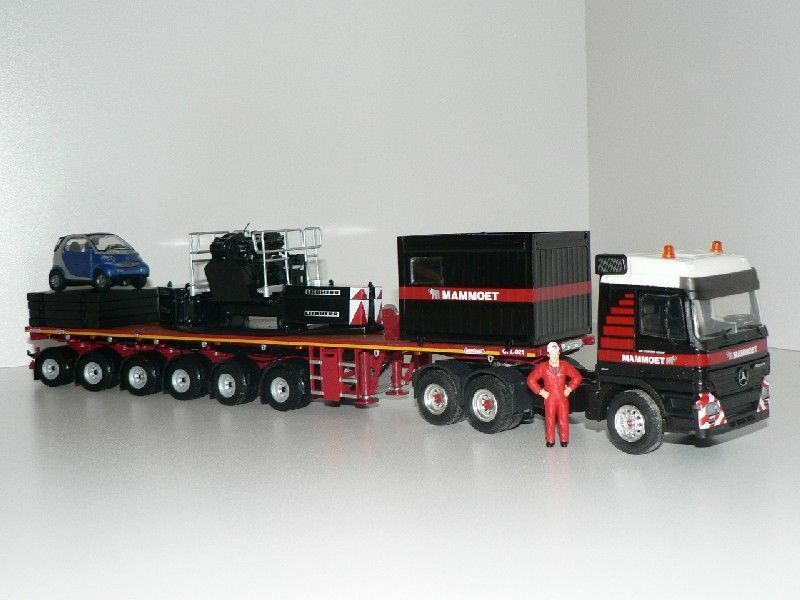 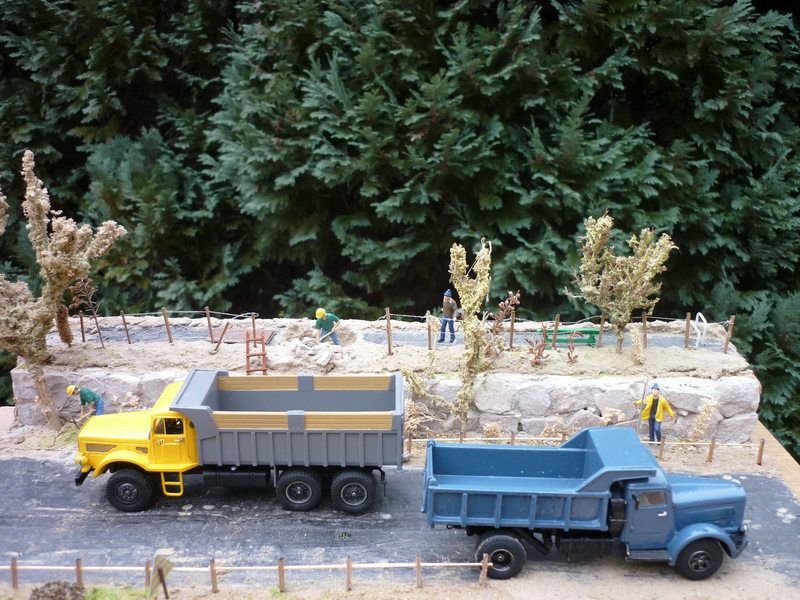 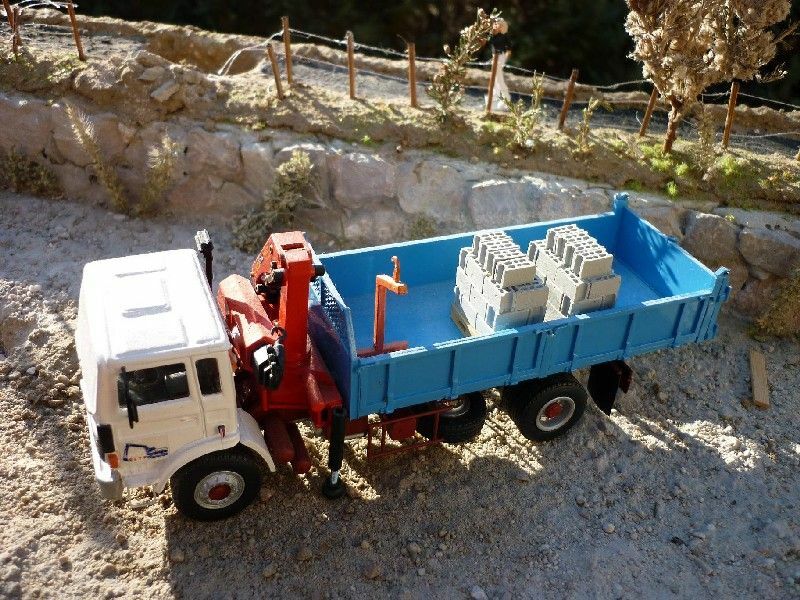 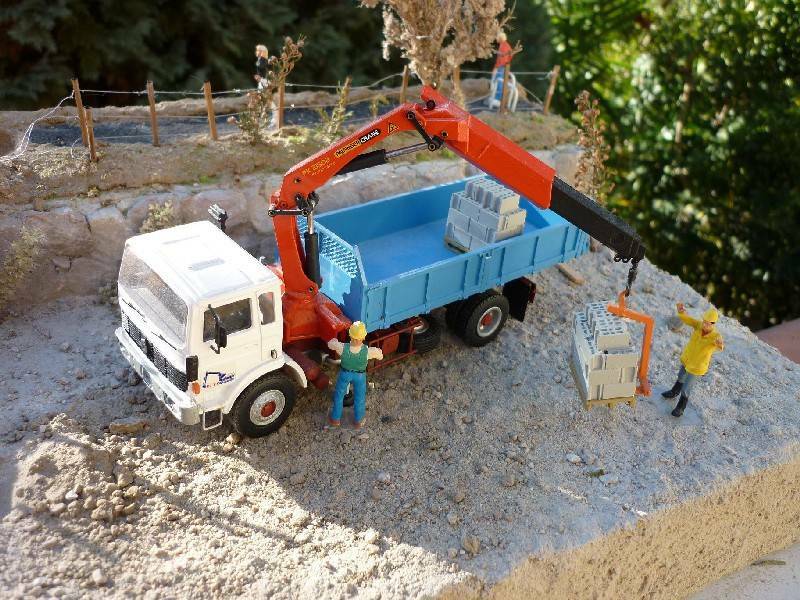 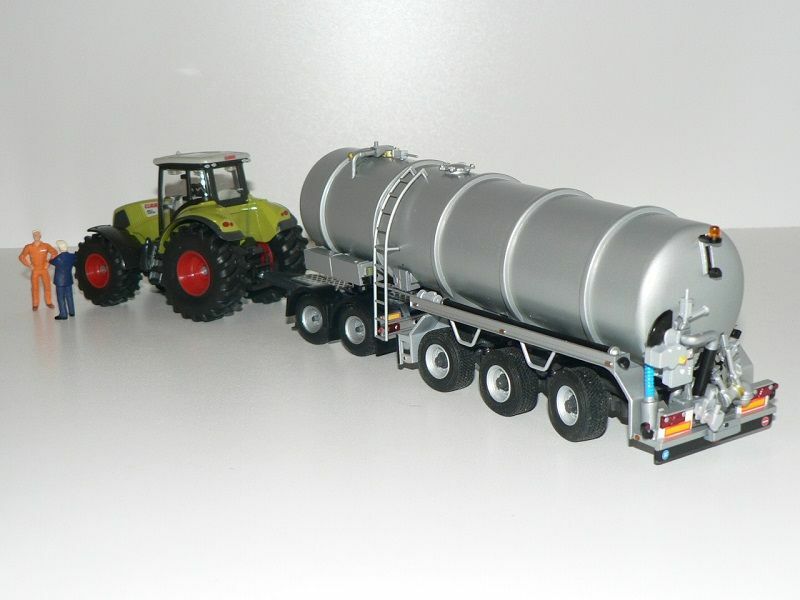 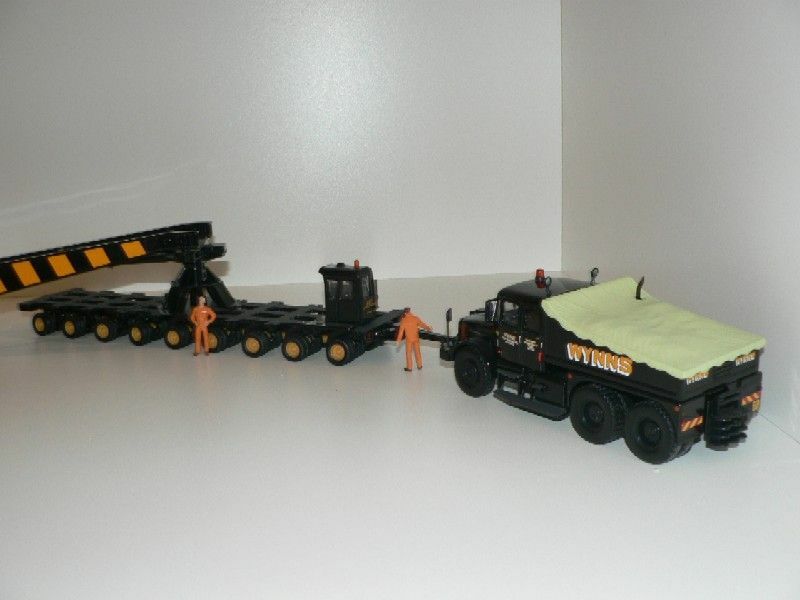 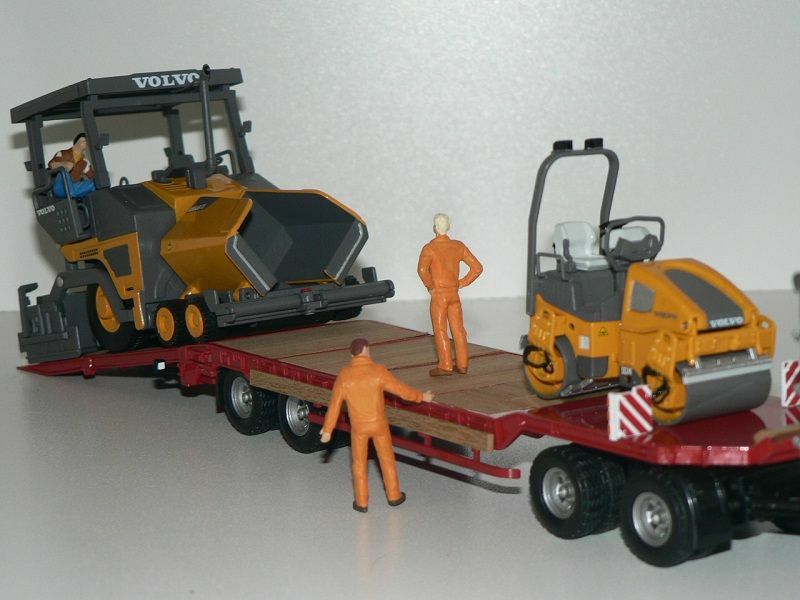 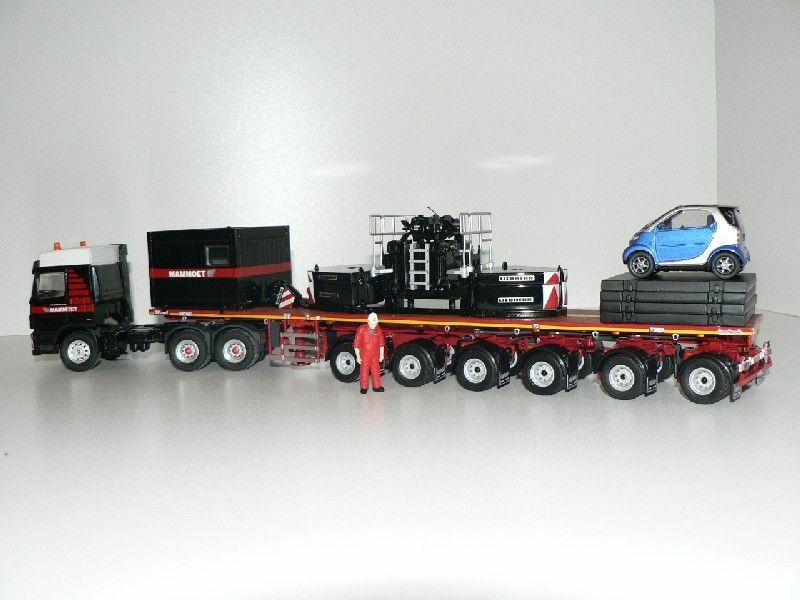 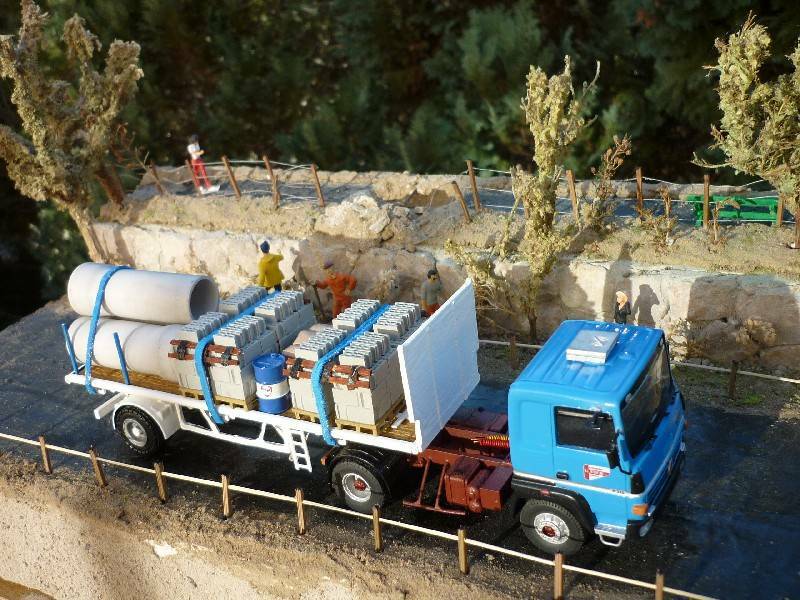 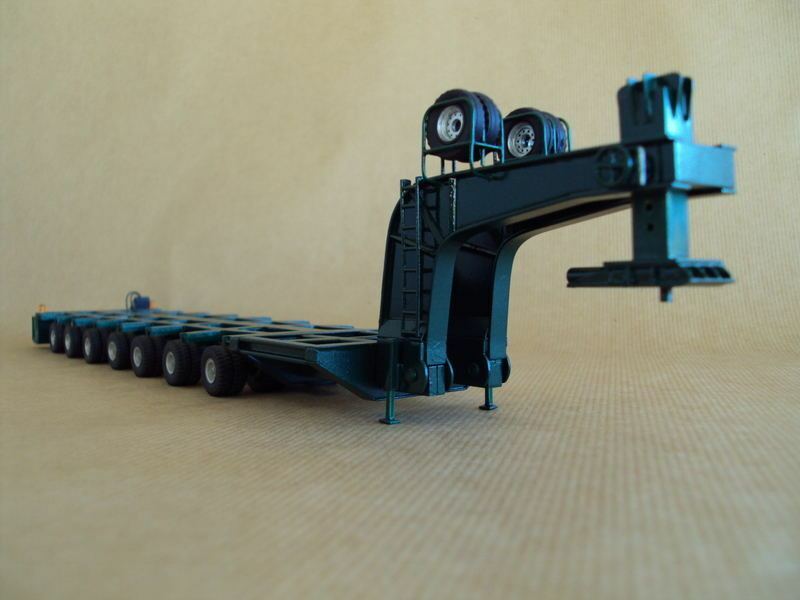 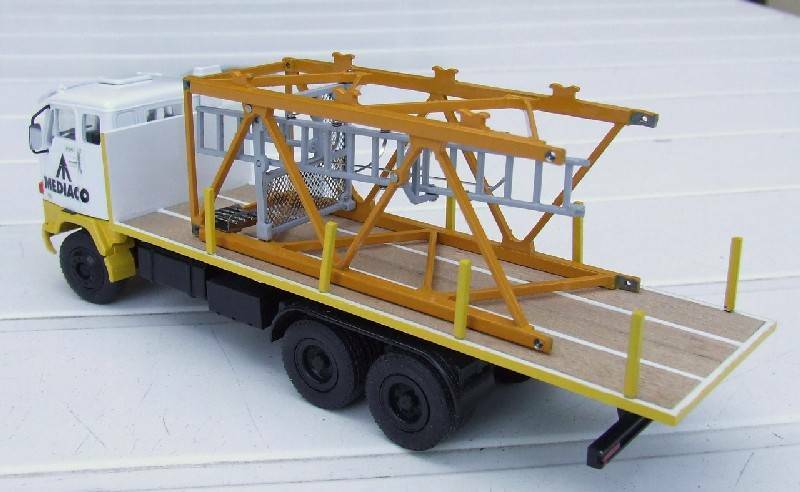 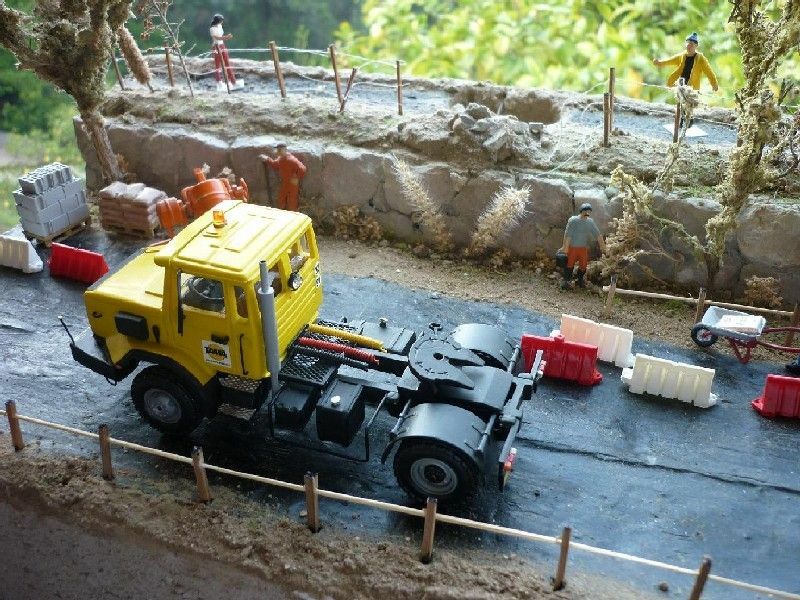 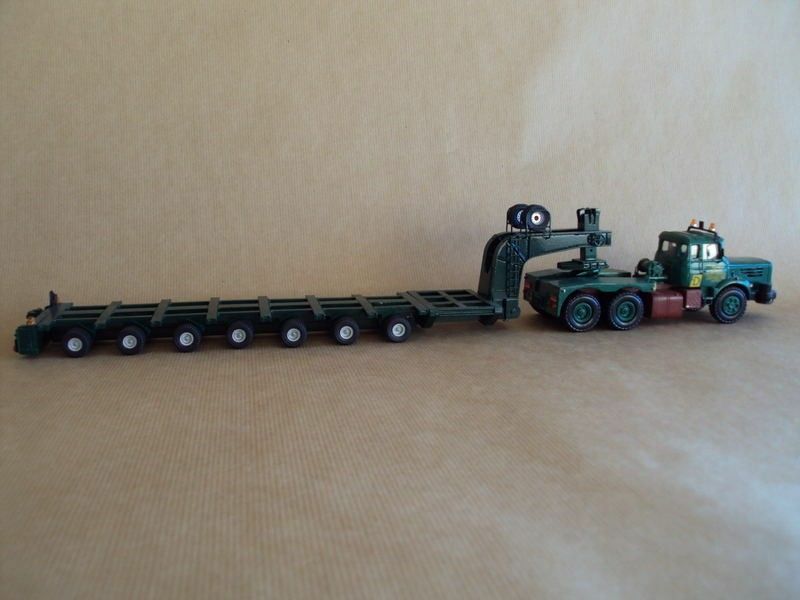 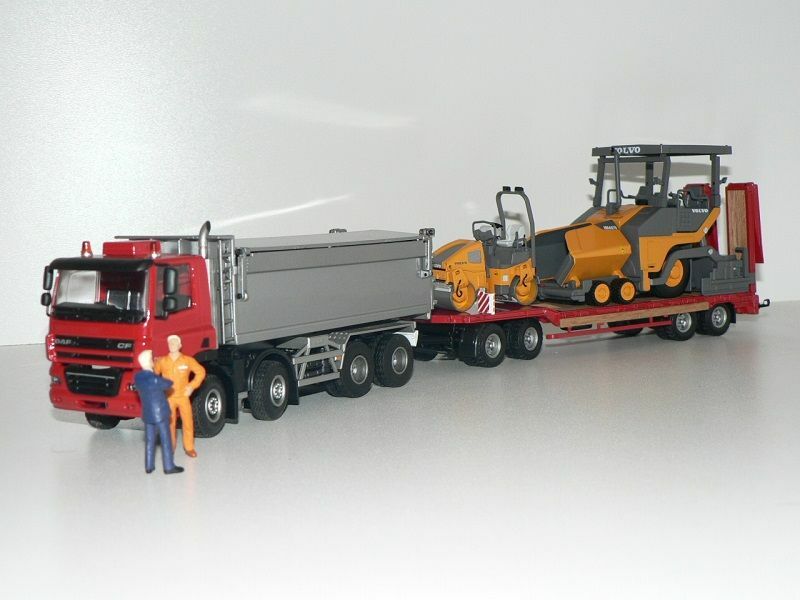 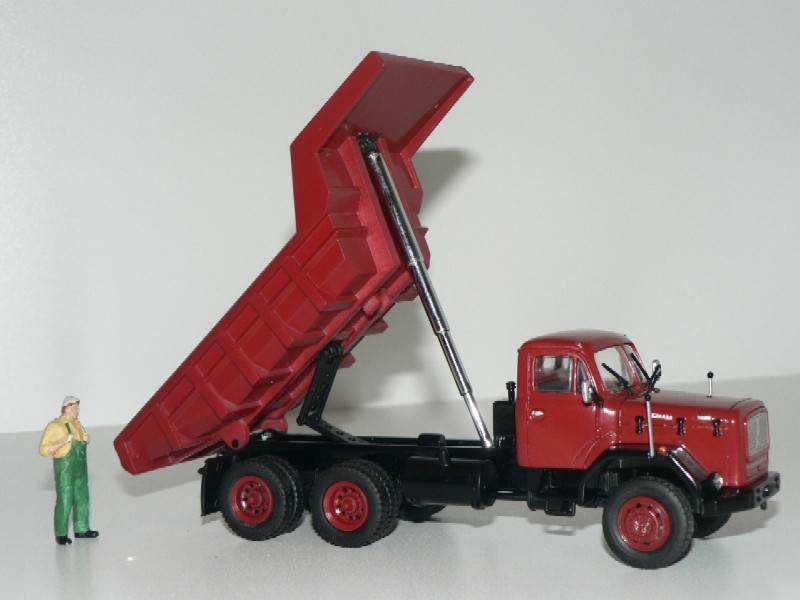 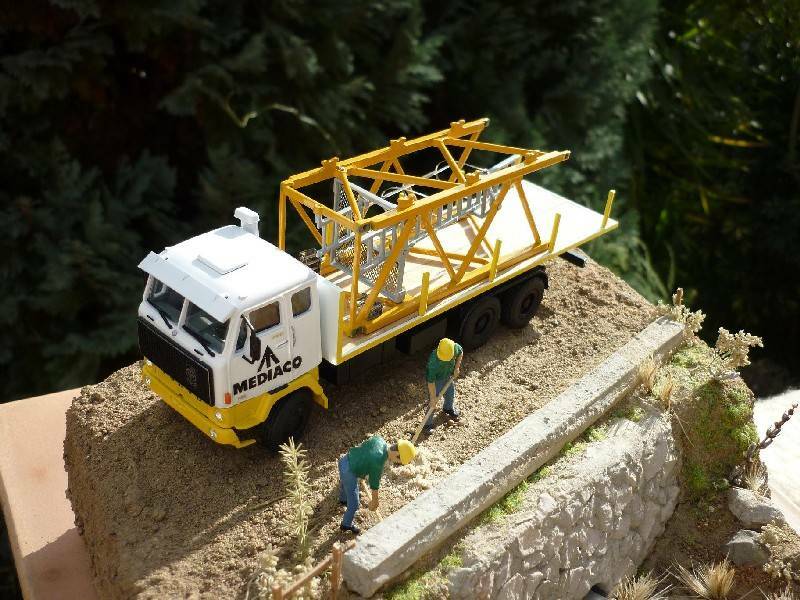 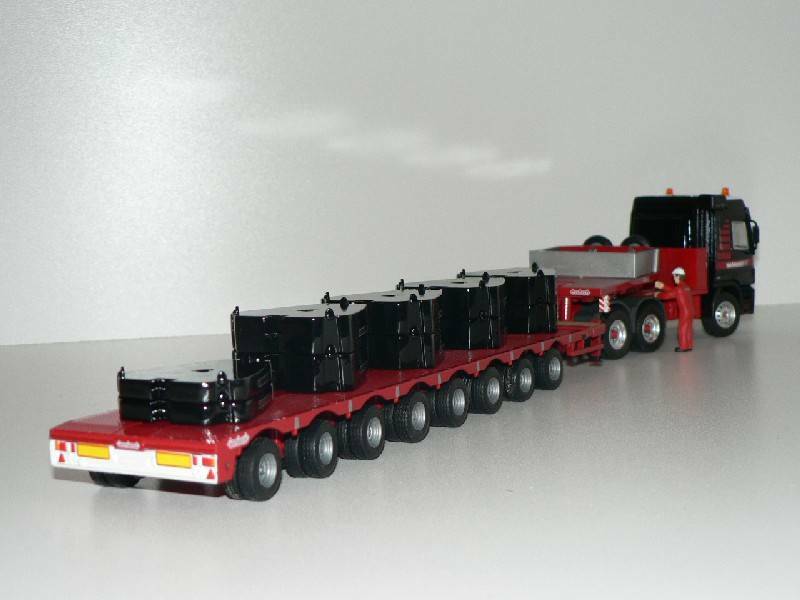 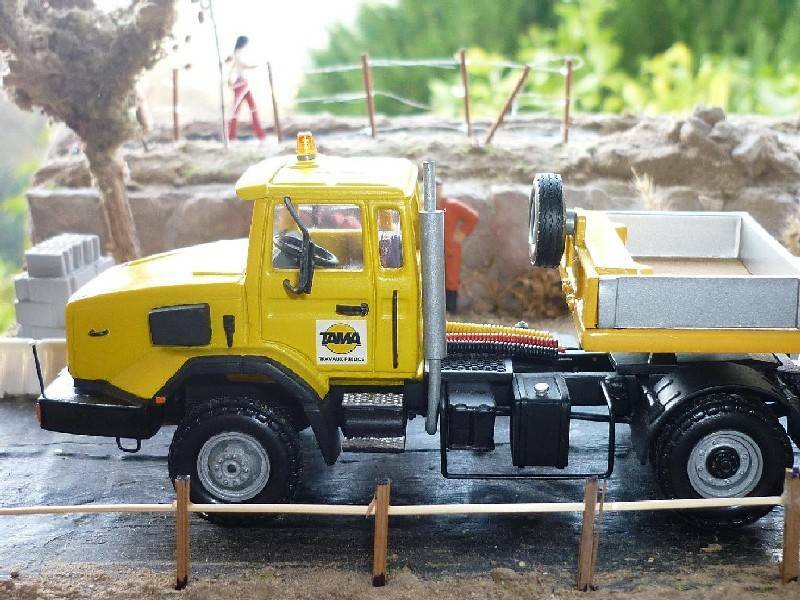 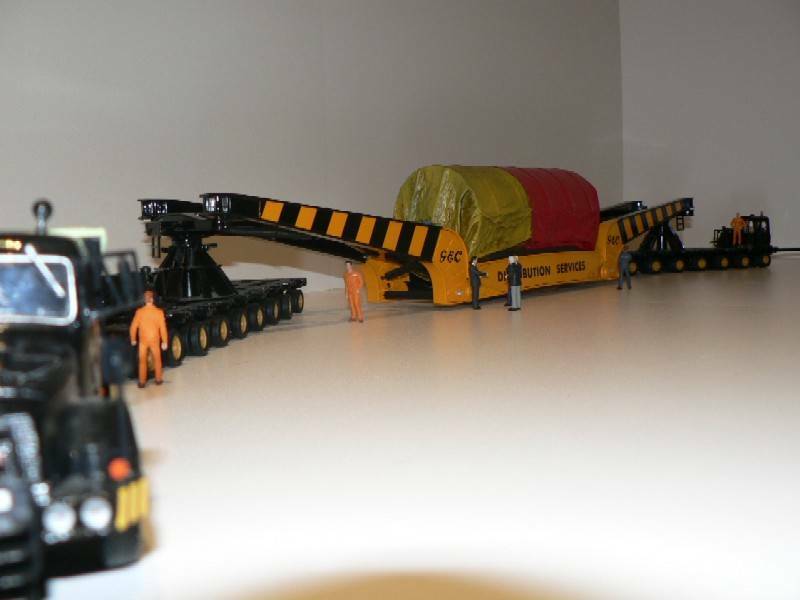 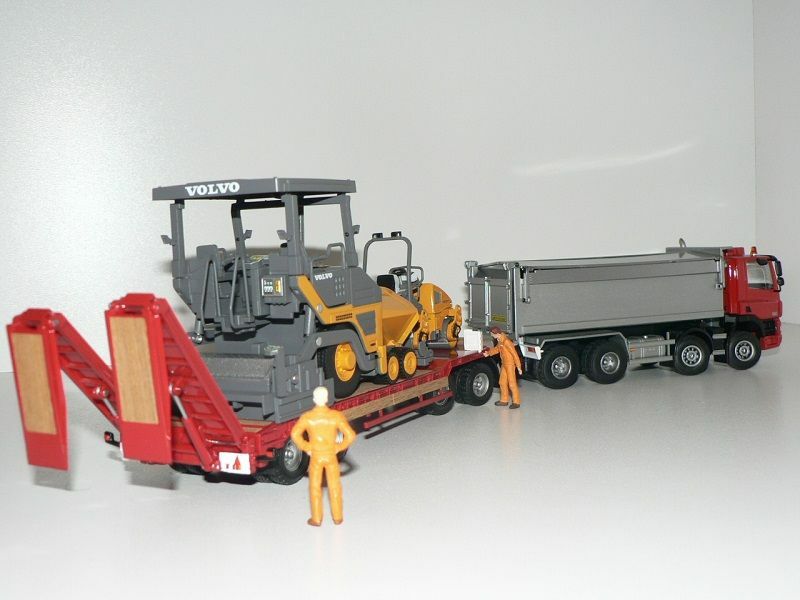 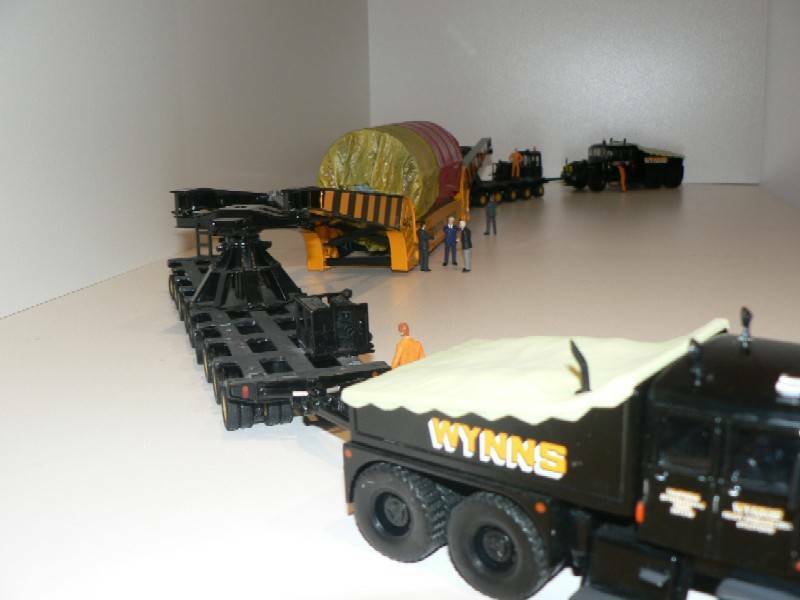 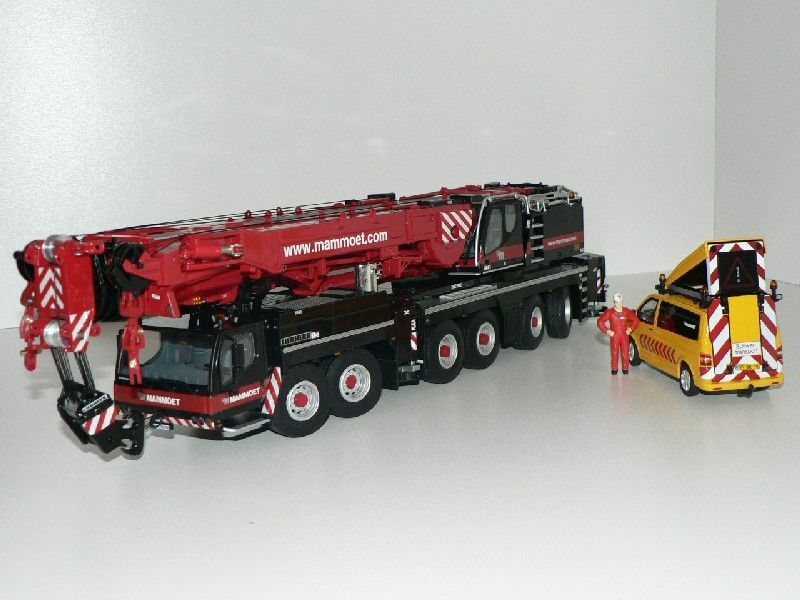 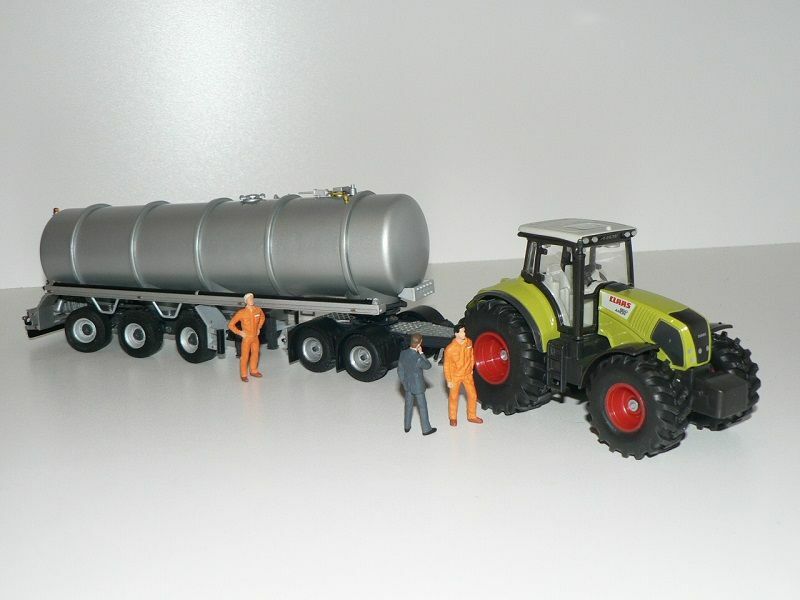 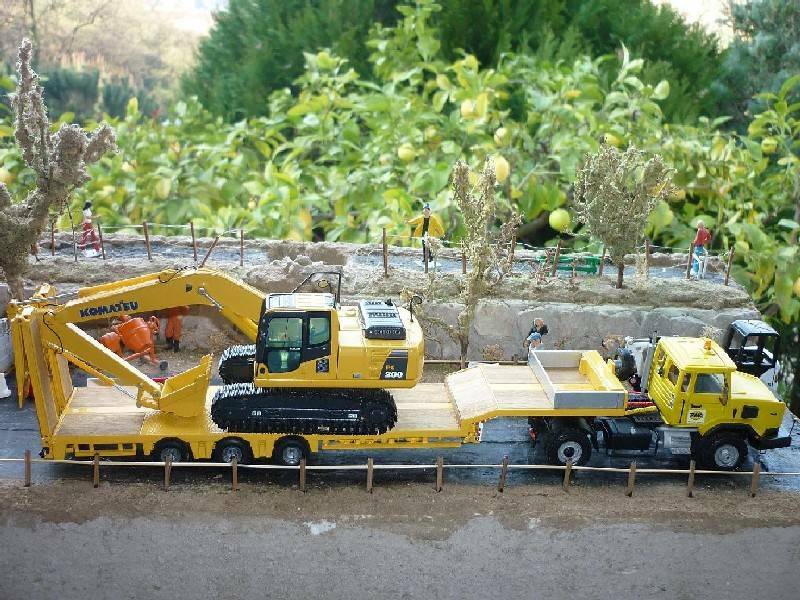 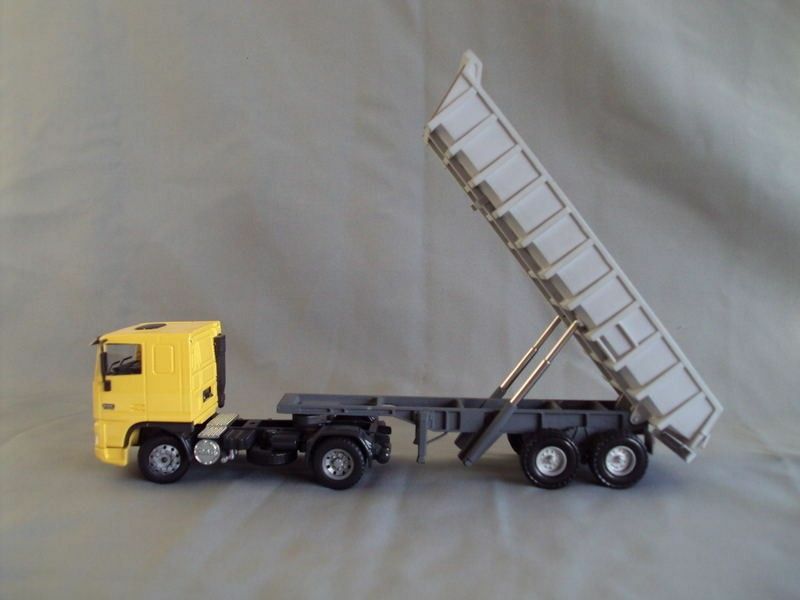 The 1-axle semi-trailer is homemade by Azur Modelisme, the 2-axle one and its knuckleboom crane being from Minitrucks origin, while both tractors are MiniCams kits. 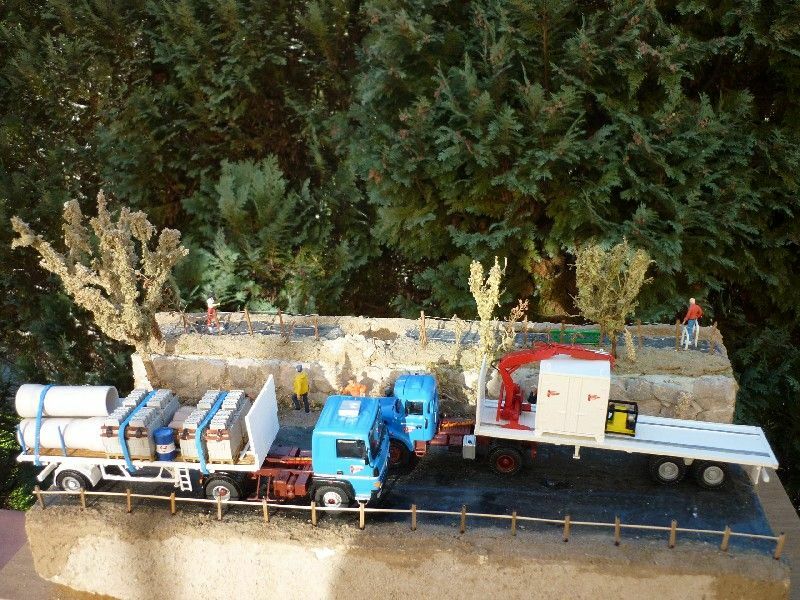 Another construction site supply, this time by CoGeBat, another civil engineering company located in Monaco. 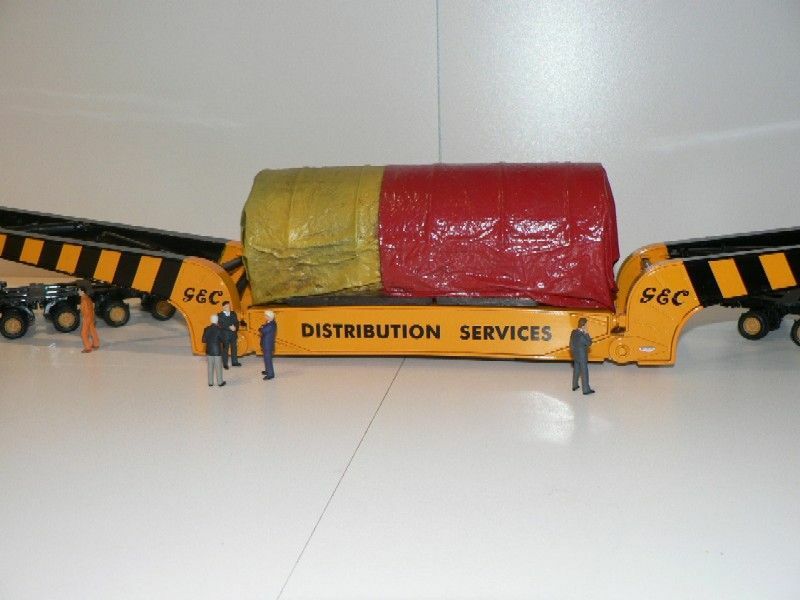 When the 3 major British heavy haulage contractors - Sunters, Wrekin Roadways and Wynns - combined their forces, most of the GEC heavy equipment transport was managed by the new conglomerate. 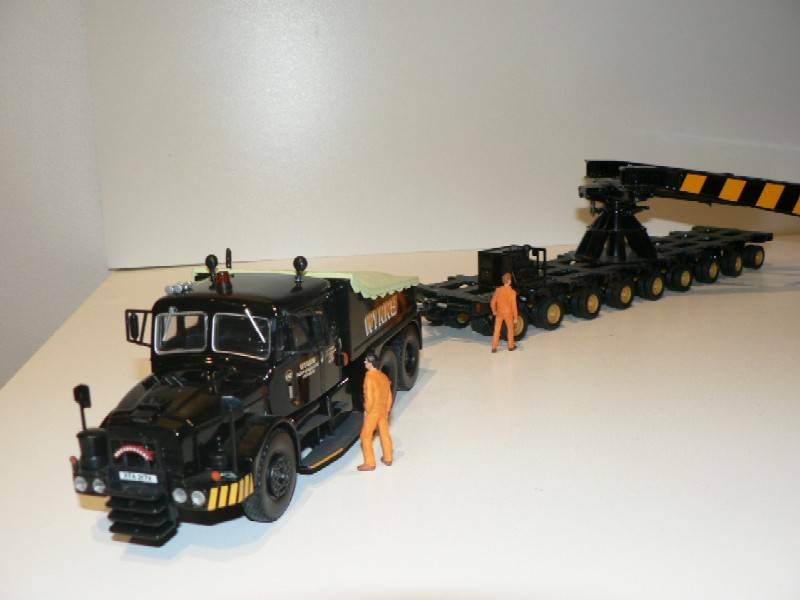 Wynns Heavy Haulage of Newport (Wales) had 2 of their heavy tow trucks repainted in black and assigned to a Nicolas girder trailer, owned by GEC. 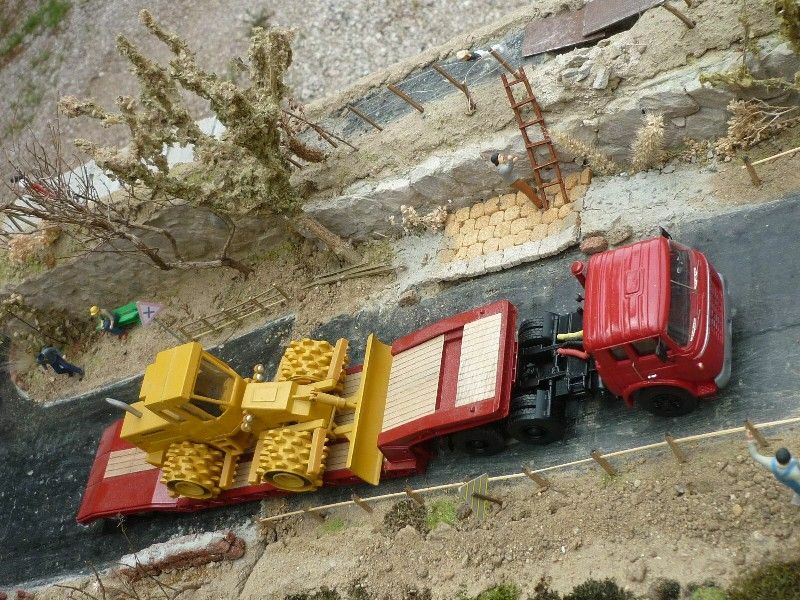 Corgi reproduced a road haulage of a 254 tonnes electrical stator., between the GEC Stafford factory and the Isle of Grain.